The Cycladic-style Amorgi Studios is located 30 metres from the long, sandy beach of Aigiali in Amorgos. It offers self-catering accommodation and free 2-way transfer from Aigiali village, where restaurants and mini markets are located. All spacious studios and apartments open to a furnished balcony or patio with Aegean Sea or garden views. Decorated in pastel colours, they include a kitchenette or kitchen with a mini oven with cooking hobs, fridge and coffee maker. Air conditioning and satellite TV are provided. 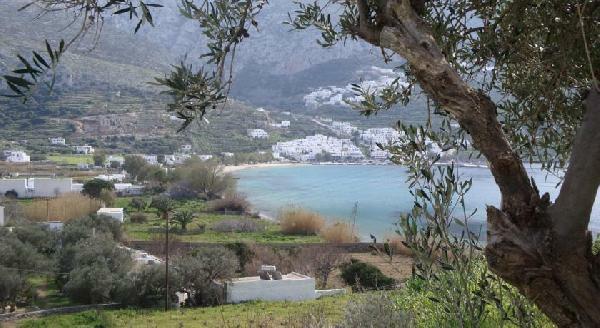 Staff at Amorgi can arrange car rental to explore the scenic Amorgos Town with the whitewashed houses and windmills, at 18 km. The fishing village and main port of Katapola is 24 km away. Aigiali Port is at 800 metres. Είστε ιδιοκτήτης ή διευθυντής στο AMORGI STUDIOS; Εγγραφείτε τώρα για δωρεάν εργαλεία, που μπορείτε να χρησιμοποιήσετε για να βελτιώσετε την καταχώρησή σας και να συνδέσετε την ιστοσελίδα σας και το σύστημα κρατήσεών σας.